Antiquated. Unimaginative. Repressive. We’ve all heard these common reactions to orthodox Christian beliefs. Even Christians themselves are guilty of the tendency to discard historic Christianity. Yet as we read through the literature in Christianity’s past, we learn that we are in better company with our beliefs than we might think. 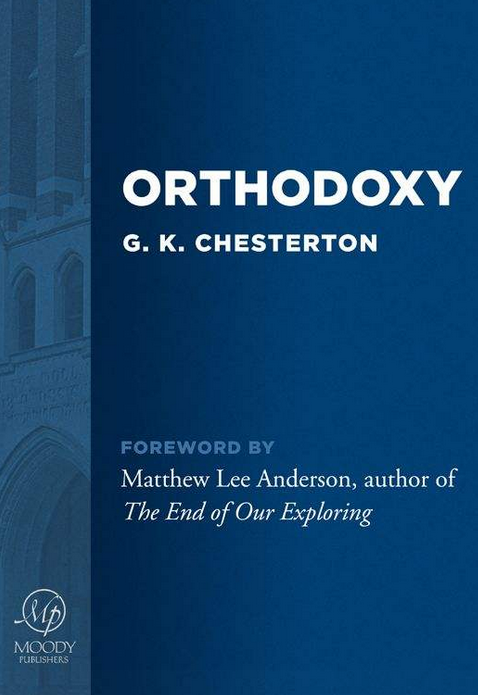 Through his enchanting book, Orthodoxy, G.K. Chesterton reminds us of the paradoxes of our faith and the joy that comes when we explore them. 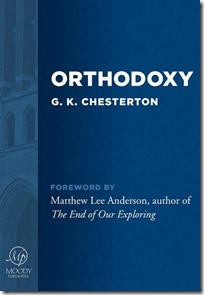 And with that question, G.K. Chesterton recounts the heart of an intellectual journey that took him from the edges of a nihilistic pessimism into the center of the paradoxical joy of Christian orthodoxy. His book is not a defense of the Christian faith, at least not primarily, so much as an attempt to explain how the startling paradoxes and sharp edges of the creed explain everything else. It is a dated work, dealing in the categories and concerns of Chesterton’s contemporaries, and yet it comes nearer timelessness than anything we have today. Though Orthodoxy was written near the start of the 20th century, I have dubbed it the most important book for the 21st. There are few claims I have made in my life that I am more sure of than that one. I’m not sure how long this classic book will be available for FREE in Kindle and Nook formats from Moody Publishers, but while it still is, grab yourself a copy!